Total dose radiation exposure results in charged defect densities in the gate and isolation oxide regions of a MOS transistor. The charged defects degrade device performance by introducing changes in threshold voltage and leakage current. The magnitude of the parametric shift is dependent on operating conditions and environment. The prognostic distance is the time between the prognostic cell warning point and the time of system failure, as shown below. The prognostic distance of the RadCell Vt prognostic cell can be adjusted to meet customer needs by trigger point calibration. For more information, please contact us or follow the links below. Ridgetop Group is the leading expert of advanced prognostics and diagnostics with a healthy database of information that educates and explains why our solutions are your solutions. You can find data sheets, product briefs and other literature inside our Resource Library. 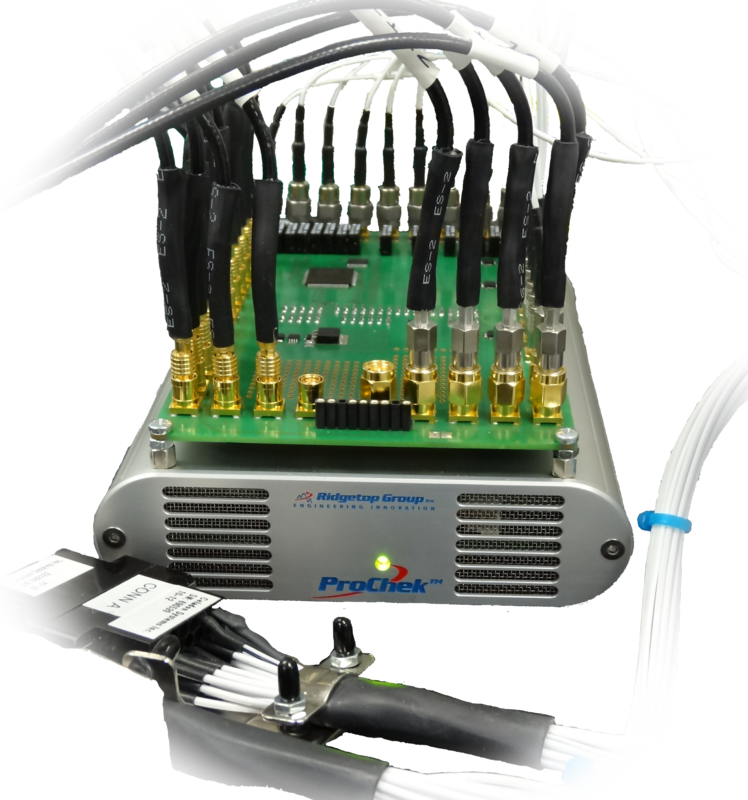 Ridgetop's compact yet powerful process characterization system, ProChek Plus, is an innovative, high-performing platform that serves to rapidly and efficiently characterize integrated circuit intrinsic process reliability and device quality. 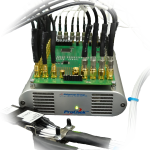 This configurable, multi-channel, flexible and dedicated semiconductor qualification and reliability characterization system outmatches the competition at every step. The ProChek Plus platform supports various instrument configurations and can provide up to 48 independently operating SMU channels in a form factor that is 100 times smaller than comparable rack-and-stack equipment. 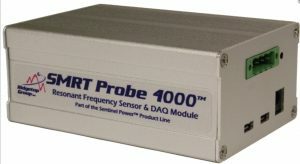 Ridgetop’s SMRT Probe (Sample Mode Response Technique™) 4000 is a resonant voltage-sampling sensor that is attached to a module or assembly to extract degradation signatures. Monitoring power systems by injecting a voltage stimulus to measure effective resistance and capacitance, SMRT Probe 4000 provides state-of-the-art prognostic and degradation analysis. Maintenance of complex systems in aircraft is an important, yet time-consuming job. 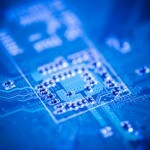 Certain circuit card assemblies (CCAs) will drift over time, yet conventional test program sets (TPSs) will not catch the soft faults that are involved. 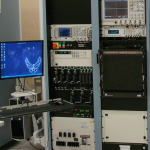 Under multiple contracts to the Air Force’s Warner-Robins Air Logistics Center (WR-ALC), Ridgetop has developed new a new method of reducing the instances of “No Fault Found” by providing tools for improved test coverage -- NightHawk NFF Reduction Tool. Conventional Test Program Sets (TPS) have routinely been proven to be inadequate for isolating and identifying hard-to-find faults during depot level testing of circuit card assemblies (CCA). When many boards test fine in the depot, they still fail when installed in the system, causing in increase of 'No fault Found' (NFF), 'Could Not Duplicate' (CND) and Retest OK (RTOK). This subpar fault detection results in increased lifetime maintenance costs, man-hours, and needless equipment replacement that can average $2 million per 'Bad Actor' per year in costs. Ridgetop's NFF Reduction Tool is the next generation of new technology needed for accurate testing of 'soft' fault test approaches. Using advanced anomaly detection algorithms, this software-based tool augments existing test programs, such as VDATS, with increased test coverage, saving maintenance costs and reducing repair time. 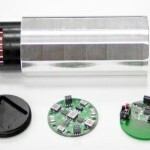 Under contract to NASA, Ridgetop designed an effective 3-axis wireless rotational sensor. 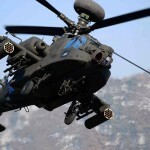 The RotoSense™ sensor has been tested on fast-spinning pinion gears on helicopter gear boxes, and also rolling stock for railroad safety improvements.